I think I've decided what I want to be when I grow up. The only problem is, it takes actual effort, and most of my life is spent being incredibly lazy. *sigh* -- laziness is my biggest mental block! But hopefully if I sneakily tease myself into working hard by using things that I like as incentive, I'll get somewhere. At age 40, finally finding something achievable? I hope this half-assed goal gets somewhere. ... 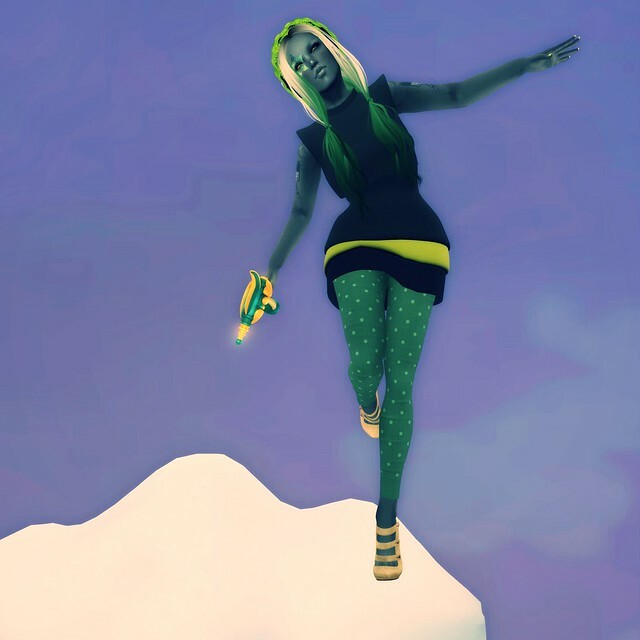 Meanwhile, my avatar is standing around on this Kirin cloud pose set with a ray gun, because Second Life!